Buyers of all types of scrap metal, scrap car (ELV) collection service, FREE skip collection service, End of Life Vehicle - Authorised treatment facility, buying from businesses and general public, family run scrap merchants across Devon and Exeter. All Ferrous and Non-Ferrous Metals including, Steel, Cast, End of Life Vehicles, Bright Copper Wire, Copper Tube, Copper Tanks, Copper Turnings, Clean & PVC Pyro, Mixed Brass, Brass Rod Swarf, Brass Rod Solids, Aluminium Bronze, Aluminium Bronze Turnings, Gunmetal Solids, Gunmetal Turnings, Rolled Aluminium, Cast Aluminium, Aluminium Turnings, Litho Plates, HE9, Pure Aluminium, Lead, Batteries, Stainless Steel Solids, Stainless Steel Turnings, PVC Cable, Armoured Cable. Devon Scrap Merchants, G.H. Newbery Ltd have been established for well over 100 years in Exeter. 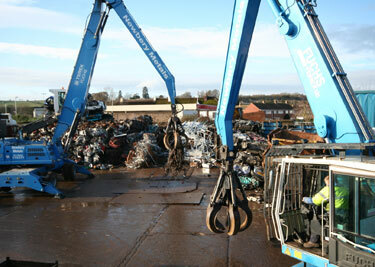 Our experienced staff with expert knowledge allows us to buy all types and grades of non-ferrous metal. For example; brass, copper, lead and aluminium and alloys such as stainless steels. We then process and grade them to the requirements for melting at foundries both in the UK and worldwide. We also handle significant tonnages of ferrous metal materials such as light steel cuttings, steel purchasing, profile plates etc, which are also processed to our customer requirements and sent to iron foundries and steel mills. 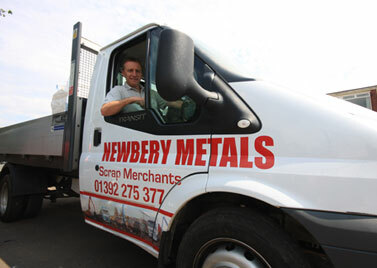 At G H Newbery & Son Ltd. we continually monitor the rapidly changing world-wide metal prices which is how we are certain that you the customer obtain the premium return for your scrap metal.